Configure price quote software can automate processes and reduce errors on complex sales, if you get the configuration right. Have you ever received a bill full of errors? In a restaurant, that error might be fixed in a few minutes. In complex business sales, fixing those errors could take weeks. Errors in quotes and invoices is one reason why so many companies have created vendor management offices. CPQ (configure price quote) software promises to ease the selling and buying process for complex sales. Making life easier for sales representatives is part of the story. Sales managers and executives also have the potential to benefit. In fact, the drive to increase management control was a key driver for customer relationship management (CRM) software. However, the traditional approach to CRM and related software has a critical problem: Sales staff are often unwilling to participate. Recent research has found that sales reps are less-than-enthusiastic CRM users. Hubspot reports that sales reps spend over five hours per week manually entering data into CRM systems. Furthermore, many customer records have incomplete contact information in CRM systems. Incomplete contact details mean that managers cannot save deals if the sales representative leaves the firm. Jeb Blunt, author of “Fanatical Prospecting,” points out some struggling sales reps avoid picking up the phone because they are overly concerned with CRM activities. Apttus -- AI enabled sales technology: Founded in 2006, Apttus has rapidly become a popular choice for complex sales solutions. Known for its partnerships with Salesforce and Microsoft, Apttus’s products integrate successfully with common business products. If your company sells complex products such as subscription software, industrial goods or hardware, Apttus may be an excellent choice. The company’s long partnership with Salesforce may come under strain in the future because Salesforce has acquired SteelBrick, a competitor to Apttus. Helping sales professionals accurately sell complex products is not the only benefit for CPQ technology. Capstone Capital, a specialized investment firm focused on high-value life insurance policies, started to use Apttus in early 2016. The organization has nearly $100 million worth of insurance policies to oversee, each with different premium payments. Also, Capstone faces the challenge of managing loans taken against approximately 30 percent of the insurance policies in their portfolio. Before pursuing a CPQ solution, the company used a manual process to manage insurance policies. This process involved manually reviewing files and later improving the process with Salesforce. “Accurate on-time payment for all insurance policies is critical for our business. If we are late or pay the wrong amount by even 10 cents, the insurance company has the right to cancel the policy. Using Apttus helps us to manage payment obligations across a growing portfolio of insurance policies,” says Vasu Vijay, chief technology officer at Capstone Capital. By using Apttus, the company has reduced monthly data processing time from four hours to about 15 minutes. FPX -- business transformation beyond the sales team: Other companies take a different approach to improving the sales productivity game. Based in Texas, FPX has worked in the CPQ area since the 1980s. “Helping farmers purchase complex machinery and managing requirements from lenders and government was the origin of our company,” explains Dave Batt, CEO of FPX. “Reducing errors and friction in the sales process is part of the story. I am also hearing cases of the CFO leading CPQ implementations because they want more accurate data for forecasts,” he adds. Achieving productivity gains with CPQ often requires a business transformation project. “We have large companies with more than two-dozen estimation tools dramatically simplify their process,” Batt explains. “The sales group is only part of the story. It is also important to optimize the groups that run pricing and supply chain matters. If your pricing information does not reflect your supply chain costs, you are more likely to make bad decisions,” says Batt. CPQ solutions occupy a middle position in enterprise software with connections to CRM and ERP. The complexity and sensitive nature of these systems mean that “out of the box” configuration is rarely sufficient. As with other systems, data governance and quality remains an important challenge. The process flow at Aspect Software, a maker of customer contact and service software, formerly combined automated and manual processes. 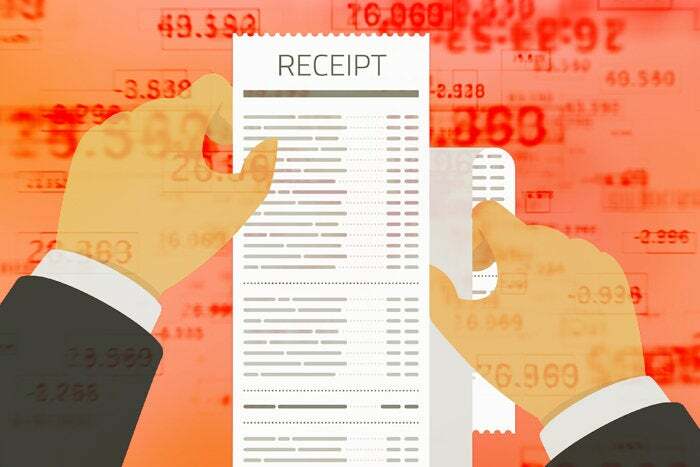 “Once the proposal was printed and signed, the spreadsheet was sent to order management for manual entry in Oracle EBS quoting to initiate the billing and fulfillment transactions,” explains Stefanie Causey, senior director, IS Solution Delivery, at Aspect Software. “When we brought everything together, it became very apparent that we had issues with our account and asset data. We also had issues where sales and finance had a different understanding of assets and sales. As a result, the organization faced significant to delays in our ability to create and manage our annual renewal cycles and forced a year-long effort to cleanse data,” says Causey. Managing software subscriptions is an important part of Aspect’s business. Obtaining productivity and quality gains also depend on excellent processes. If your organization develops pricing and quotes through Excel spreadsheets and has no written rules, automation will be difficult. Implementing CPQ software with a project team and an external consulting team will likely continue to be necessary. However, those projects do not have to break the bank. “The early first few phases of the product cost under $500,000,” adds Causey. Sales enablement technology is continuing to grow in prominence. If CPQ applications and services continue to evolve, the phrase “complex sales” may become obsolete. Apttus’s demonstration of a natural language capable AI assistant suggests one possibility. With properly configured business, AI assistants have the capability to assess deal profitability. Such assistants can also guide reps through the process of selling new and unfamiliar products. The implications for sales professionals and managers are clear. Technology is gradually taking on more and more of the administrative and operational work of sales. Sales professionals are likely to fight for the authority to control, or at least influence, pricing. The ability to connect with customers, aside from technological intervention, will continue to become important.